Usually ships in 24 hours. (quantities up to 3500 pieces) larger qty may require additional time. Guarantee trouble free wear with instant visibility and long lasting durability. 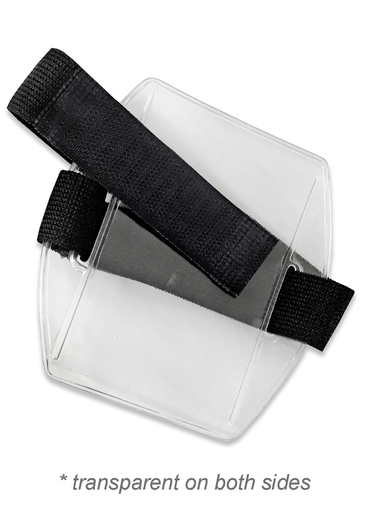 Armband badge holder are required in many active work situations and ideally suited to prominently display ID badge while maintaining a safe working environment. The holder fits insert size of 4"x2.5". Vinyl is 30mil thick on both sides. Comes in choice of white or black. 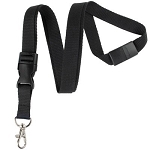 Detachable Breakaway lanyards5/8" (16mm) Breakaway lanyards with NPS Trigger snap swivel hook and black detachable buckle.